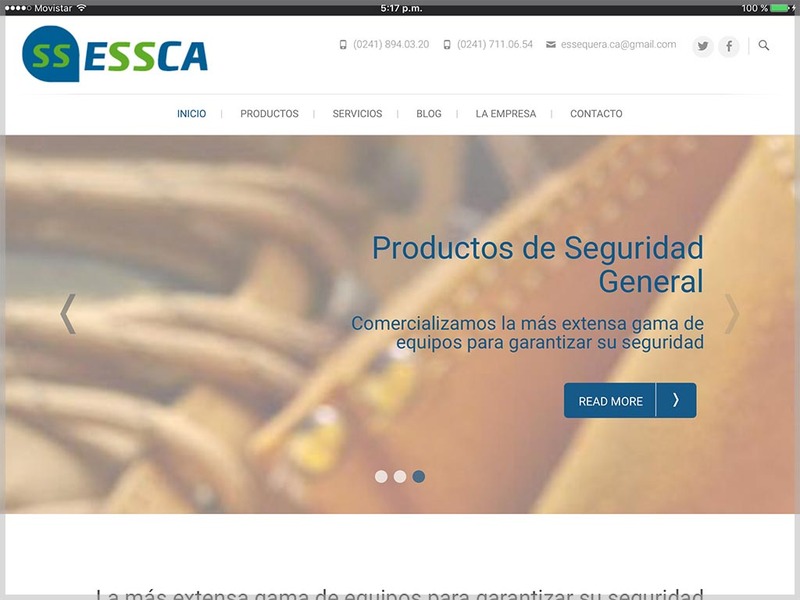 Sequera Security Equipment, ESSCA, is a company that sells useful safety products for companies from different sectors. Their specialty is fall equipment and spill control. His website had already several years online and it was considered necessary to make an update. The design made for the company includes services sections, a shop where customers could view products and request quotes, and a blog where they will post articles of interest to the sector.